With a running clock, athlete starts the workout by free-hanging by the hands only from a pull-up bar. If athlete drops from the pull-up bar before 6 minutes, take note of the time but do not stop the clock. Once the run and push ups are complete, resume the hang hold. Repeat until cumulative hang hold time reaches 6 minutes. Score is the total time, including the time it takes to do all runs and push-ups. Coffland was an athlete who was known to have demolished the U.S. Army Physical Fitness Test, which features push-ups, sit-ups and a 2-mile run. 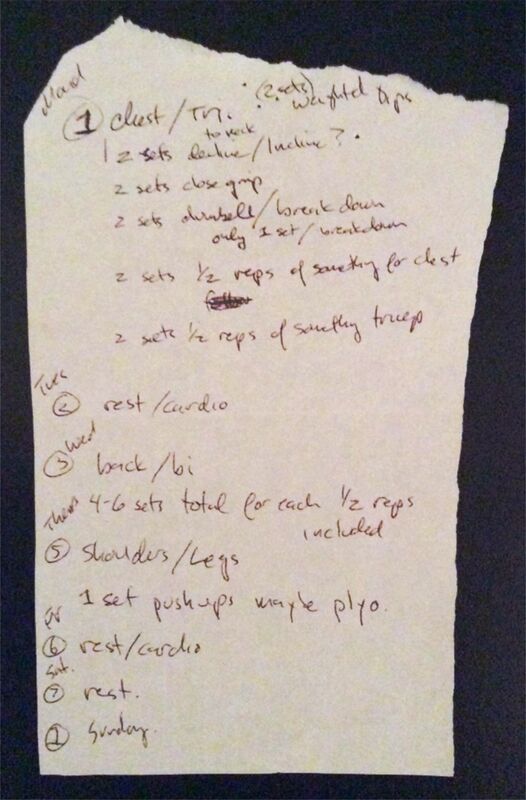 He was particularly fond of long workouts, heavy lifts, distance sprints, push-ups and sit-ups. 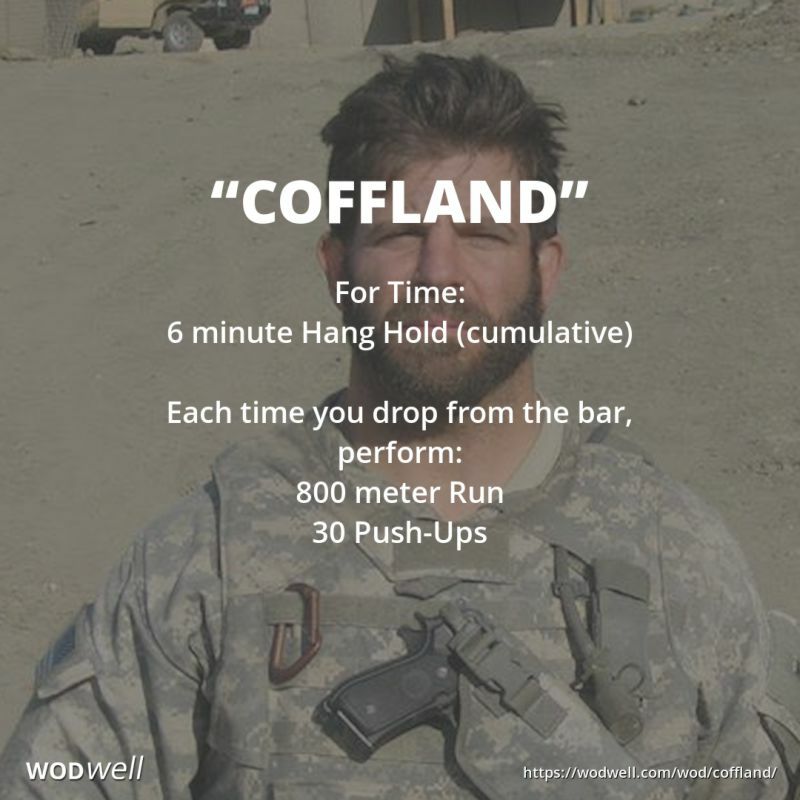 The “Coffland” Hero WOD was first posted on the CrossFit Main Site as the workout of the day for Monday, November 13, 2017 /Coffland was K.I.A November 13, 2009. When Coffland’s sister received his 2 footlockers sent back to the states from Afghanistan, the footlockers had been prepared by the US Army. Cofflands’ personal belongings were neatly and strategically packed; items crisply ironed and folded military style. One couldn’t help but feel the reverence and respect that went into sending these precious items home, knowing these items represented the last days of his life. Amidst the belongings was what appeared to be a field notepad. When his sister went through the notepad, she carefully read each entry that she could, although pages were missing or torn out, (presumably by the Army). Intact was a scrawled note in Coffland’s small recognizable handwriting. It was a workout routine. He never stopped doing what he loved. No matter where or when or the circumstances; Coffland would find a way to “catch a lift”. For information on how your gym can host The Coffland WOD please use the form below or email cal@catchaliftfund.com directly.